What's the cost of your service? 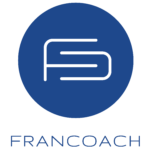 There is never any fee to work with FranCoach. We are partnered with several hundred franchisors and act as a talent scout to find their next wave of franchise owners. What if I don't want to be in the food industry? No problem, we hear this a lot. Franchising is much more than just fast food and french fries. In fact, only about 10% of our portfolio of franchises is food related and FranCoach works with franchises spanning nearly 60 different industries. I have worked in one industry my whole life. How can I own a business in an industry in which I have no experience? Believe it or not, franchisors typically do not require industry experience in their owners. Franchisors seek talented individuals to work ON the business rather than work IN the business. Franchisors also have very extensive training and support programs to educate the owners on their new industry but ultimately this process is about matching a prospective owners' skill, goals, and values with a franchisor that looks for the same in an owner. To learn more about how industry plays a role in the franchise search check out this blog. I don't know for sure that I want to be a business owner. Would going through this process with FranCoach be a waste of your time? Great question. The answer is, this would absolutely NOT be a waste of time. Many of our clients start with FranCoach in a similar position. If you have ever thought about owning a business and want to learn about the potential options, if you will have an open mind about the FranCoach education process, and if you are willing to spend a little time doing so, then you are a perfect FranCoach candidate. We view success in this process by helping clients determine IF becoming a business owner is the right path. If it is, then we know we will help you find the perfect business opportunity. I don't have millions of dollars in the bank, can I still start a franchise? Yes! Not many people have millions of dollars just laying around. A large number of FranCoach clients have an overall Net Worth of far less than a million dollars. The average single unit Total Investment of the franchises we work with is around $200,000 and there are several franchises with a Total Investment under $100,000. Much like buying a house, the actual cash needed to start a franchise is only a portion of the total investment. FranCoach partners with the leaders in funding options for franchising to help educate clients on all of the potential paths they can take to start their new business. Some of these funding options are very specific to franchising, one of which most people do not even know exists. Working with FranCoach is truly designed to educate potential business owners on all aspects of this journey.